For getting extremely extremely rich there are only two ways, either worship Shiv or worship Lakshmi or Maha Lakshmi. But, Lord Kubera is said to be the regulator of the money and without his grace and Lord Shukra's grace getting extraordinarily rich is not possible. This is a most simple Hindu astrology remedy, which is prescribed by some astrologers in India, to facilitate the marriage of a girl who is nearing, reached or crossed the threshold of the normally accepted marriageable ages prevalent in her society or community. The astrology remedy is primarily aimed at pacifying an adverse Jupiter in her horoscope, which in the opinion of the astrologer is responsible for delays or obstacles, which are obstructing her chances of getting married. In this article, I have described an easy and most simple to implement Vashikaran Remedy for making an uncaring and unloving Husband mend his ways and take care and love and respect his disillusioned and distressed wife. This post is in response to numerous requests, which, I have received from time to time from lots of harassed and depressed wives of unresponsive husbands. Today I will share a special Mantra Prayog through which a person can get more knowledge about the Mantra Sadhana, which is being practiced by him. A most interesting Traditional Indian Occult remedy, which is still in practice in some rural regions of India is described by me in this post. This Paranormal remedy is practiced in case where, the specific illness or disease, a person is suffering from has not been diagnosed even after repeated medical diagnostic tests. Today I will share a very easy, yet very powerful Shri Ram Mantra through which any person can seek refuge in Hanuman and Shri Rama. In this post, I have described a Vashikaran Occult Experiment, which is specially for women who want to marry a man they have chosen and selected in their hearts as their future husband. The Vashikaran Experiment using a simple yet effective Vashikaran Mantra is said to put a Voodoo Love Spell over the chosen man and make his respond positively to the love signals or body language of the women who dreams of marrying him. 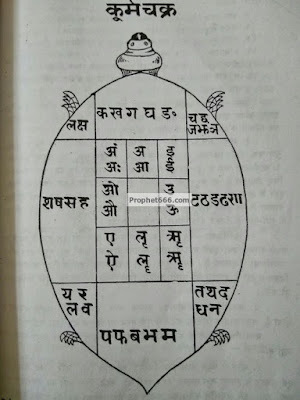 In this post, I have written about an Occult Attraction Spell, which makes the use of the Dakshinavarti Shankh to resolve family problems, including husband-wife disputes. This Dakshinavarti Shankh Vashikaran Yantra Prayog can also be used to remove obstacles and problems, which are blocking the marriage of a girl in the family, who has reached or crossed the threshold of the generally accepted marriageable age prevalent in that particular community. जय श्री राम जय वीर हनुमान - I will now talk about the main component of the Mantra Sadhana and about how a Sadhana is done. The after-effects of Modi’s Surgical Strikes on Black Money and De-Monetization are being experienced throughout the length and breath of India. Most Indians who are just mere by-standers to the sleazy and shady activities of the political class now find themselves in the midst of the biggest monetary changes, currently underway. In the post below, is described a very dangerous and destruction Tamas Guni Maran Prayog, which has been attributed in the Tantric texts as having the capacity to harness the most dangerous type of energies, which take away the life of the person in whose direction they are directed. Today I will share a Hanuman Mantra through which we Hindus can bring about the growth of Hinduism and its values in this world. This Shakti Vashikaran Mantra Prayoga described by me in this post is considered to be a most powerful Vashikaran Mantra Experiment, which should be only used for Pure and Unselfish Purposes as it invokes the Tantrik Devi Ucchishta Chandalini. Ucchishta Chandalini is another name for the Matangi, one of 10 Great and Most Powerful Goddesses of the Dasha Mahavidya. Today I will share a most rare and secret Mantra for Par Kaya Pravesh or the magical and paranormal power to end another person's body. This Chamatkari Mantra is dedicated to Shri Guru. The most popular Hanuman Chalisa also talks about Shri Guru. In this post, I have described a special Vashikaran By Loung Mantra to cast a Voodoo fascination spell of enchantment on any person, be it a man or woman. The uses of Cloves as an infusion object for the purposes of Vashikaran is most popular and there are diverse Vashikaran Tantras, which make the use of Loung. The Shabar Vashikaran Mantra given here is very simple to pronounce, especially for lay-persons. Today I will share a special Mantra Prayog, which is meant to be done on the day of Kartik Purnima, which falls on 13th-14th of November 2016. Vashikaran using Tobacco or Tambako is another one of popular methods used for casting a Voodoo Vashikaran Spell on any desired man or woman. The tobacco is used as an article, which is infused with a Vashikaran Mantra and given to a desired person for making that person submissive and respond quickly and meekly to the overtures of the practitioner for whatever purpose he or she has in ind, including love, business or marriage. Today I will share a very powerful Prayog of the Hanuman Dwadash Naam Stotra, which is one such miraculous Stotra of Hanuman through which anything is possible. This is a Middle-Ages Rural Shabar Vashikaran Mantra, which is described in a Mantrik Text from the Middle-Ages. The wordings of this particular Mantra give an interesting insight into the life of the people living in those times. The Vashikaran Mantra, is in the form of a Prarthana or Prayer and is said to infuse eatables or beverages with the power of the Mantra to put a Voodoo Fascination Spell on a desired person. 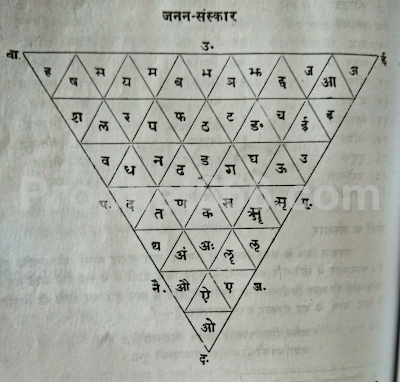 This Yantra described by me in this this post is a special Yantra to enable a practitioner of remote hypnosis to concentrate upon any person whom the practitioner wishes to put under a Voodoo Spell of Fascination, which will make the targeted person become bewitched with the practitioner and come under his control. 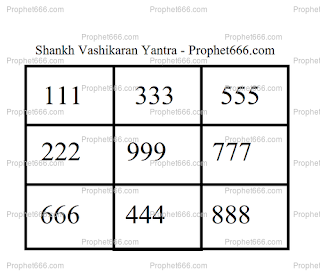 The Vashikaran Tratak Yantra Spell can be used for any kind of attraction, including love, marriage, friendship or commercial and business purposes.